We believe that, like humans, the sand, the ocean water, the pebbles, the sea grass, the sea shells, the corals, the fishes and other organisms living in the ocean, deserve clean surroundings and a healthy environment. It is because of this, that on June 8, 2018, we decided to join the global action for World Oceans Day and organized a clean-up drive that aimed to keep the Berong Bay clean and blue. 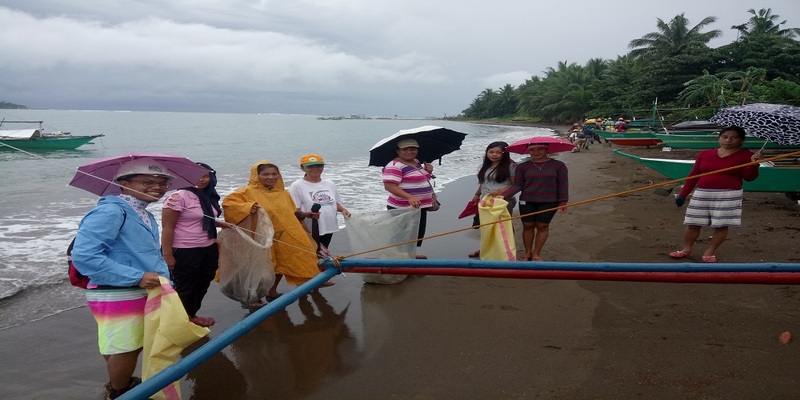 Together, our team from the local mining company, officials of the Local Government Unit (LGU) of Barangay Berong, LGU volunteers, and members of the community, including local youth, swept away garbage from the coast of the beautiful Berong Bay. Discarded materials made from plastic, metal, glass, wood, and fabric were remove, cleaning significant portions of the beach. The event was held in Barangay Berong, Quezon, Palawan, Philippines. About 80 people joined our coastal clean-up activity. Most of the participants were from our company while others were community members. This year's clean-up drive was mostly focused on cleaning water bodies and educating the community. We plan to continue doing this activity every year and hope to engage more youth.